Retired football great, Jack Ham, was born December 23, 1948 in Johnstown, Pennsylvania. 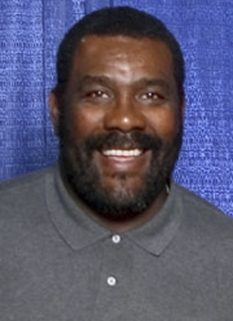 Ham played linebacker for the Pittsburgh Steelers. He is considered one of the greatest outside linebackers in the history of the NFL. Jack Ham attended Bishop McCort High School in Johnstown, Pennsylvania followed by Massanutten Military Academy in Woodstock, Virginia for a post graduate season. He played college ball at Penn State. In Ham's three years as a starting linebacker, Penn State had records of 11-0, 11-0, 7-3. In his senior year, 1970, he was co-captain, had 91 tackles and four interceptions, and was an All-American. He had 251 career tackles, 143 unassisted. He blocked three punts in 1968, setting a school record that was not tied until 1989. He was inducted into the College Football Hall of Fame in 1990. 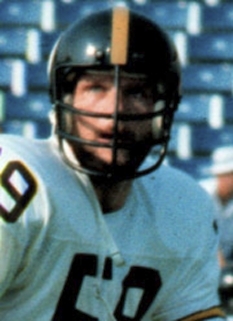 Jack Ham was the Pittsburgh Steelers second Round draft pick (34th overall) in the 1971 NFL Draft out of Penn State, where he was an All-American. He won the starting left linebacker job as a rookie. He was All-Pro nine years and was named to eight straight Pro Bowls. He was named the greatest outside linebacker of all time by a consortium of professional sports writers, beating Lawrence Taylor for this honor. Rick Korch again raised this question in his book "The Truly Great, The 200 Best Football Players Of All Time", published in 1993. Korch gave the nod to Lawrence Taylor but by the narrowest of margins. Jack Ham was blessed with tremendous quickness, according to Steeler's coach Chuck Noll and teammate Andy Russell he was the "fastest Steeler for the first ten yards, including wide receivers and running backs", this was on a team which included John Stallworth, Lynn Swann and Frank Lewis. He was one of the few outside linebackers who could play pass defense as well as the NFL's top safeties. Although he was a ferocious hitter, he was known as a player who couldn't be fooled and was seldom out of position. Maxie Baughan, the great former NFL linebacker said of Ham, "He was one of the more intelligent players to ever play that position. He was able to diagnose plays. You couldn't ever fool him." 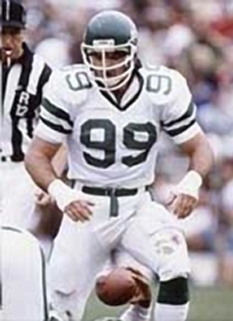 Ham's career statistics include 25 sacks, 21 fumbles recovered, and 32 interceptions. Those numbers place him in the Defensive 20/20 Club (20 interceptions and 20 sacks) with eight other recognized members; Linebackers Ray Lewis, Seth Joyner, Donnie Edwards, Wilber Marshall, William Thomas, cornerback Ronde Barber and safeties Brian Dawkins, Leroy Butler and Rodney Harrison. As these numbers indicate, Ham had a flair for the big play, guided by some of the best football instincts ever found in a linebacker. 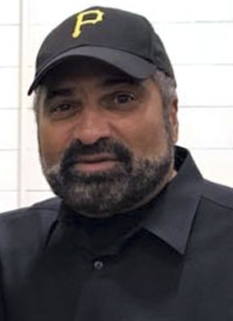 Ham won 4 Super Bowl titles during his 12 year career (although he did not play in Super Bowl XIV due to an ankle injury), all of it spent with the Steelers. 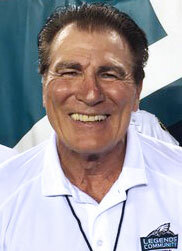 Jack Ham retired from professional football in 1982 and began a career as a radio personality. 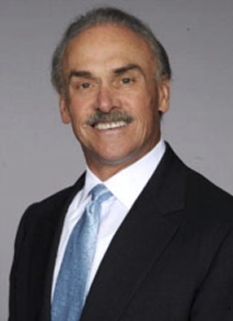 He served as a color commentator for national radio broadcasts of NFL games, and later hosted a show in Pittsburgh with Mark Madden on ESPN Radio 1250 during the NFL season. 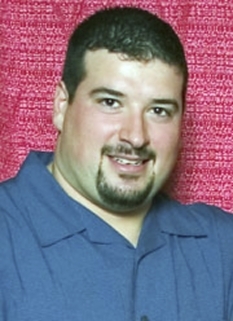 Ham is currently a sports analyst for Penn State Radio Network and also appears as an analyst on the Westwood One radio network. Ham was inducted into the Pro Football Hall of Fame in 1988 and the College Football Hall of Fame in 1990. In 1999, he was ranked number 47 on The Sporting News' list of the 100 Greatest Football Players. Jack Ham and his wife Joanne currently reside in the Pittsburgh suburbs. They have no children. DISCLAIMER: PFP Sports Talent Agency does not claim to represent itself as the exclusive agent for Jack Ham. 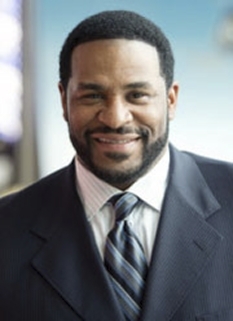 PFP Sports Talent Agency is a booking agency that represents organizations seeking to hire pro athletes and sports personalities such as Jack Ham for speaking engagements, personal appearances, product endorsements and corporate entertainment. Fees on this website are estimates and are intended only as a guideline. Exact fees are determined by a number of factors, including the location of event, the talent’s schedule, requested duties and supply and demand. PFP Sports Talent Agency makes no guarantees to the accuracy of information found on this website and does not warrant that any information or representations contained on this website will be accurate or free from errors. We are often asked how can I find out who is Jack Ham's agent? To find Jack Ham appearance fees and booking agent details, you can contact the agent, representative or manager through PFP Sports Talent Agency for speaking fee costs and availability. PFP Sports Talent Agency can help your company choose the ideal sports personality for your next marketing campaign. To hire Jack Ham for an appearance, speaking event or endorsement, contact Jack Ham's booking agent for more information.